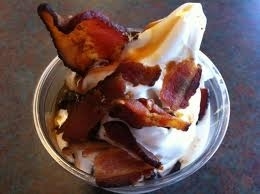 Burger King just launched their bacon sundaes. No, that's not a typo, it actually says bacon sundaes. Read the review here, then ask yourself, "What were they thinking?"